At the end of the semester, students evaluate your work as an instructor. These evaluations can help teachers improve their instruction but in a somewhat flawed way. 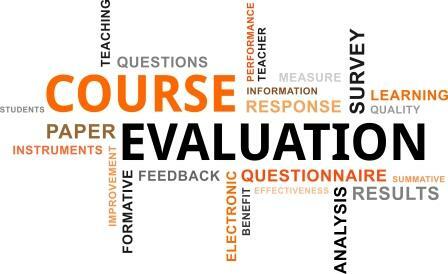 Here at nClass, we’re put together a few instances where student evaluations can be improved. Students evaluate too late –The feedback teachers get from students can be extremely helpful…for next semester’s students. However, the end-of-the-semester format means that instructors never get to mold their techniques to the classes they have–they must hope student feedback for the previous semester applies for the current. Instead, instructors should conduct mid-semester reviews. In fact, instructors that receive mid-semester feedback tend to receive better evaluations at the end of the year. Low response rate – In fact, NPR’s Anya Kamenetz explains that less than half of students respond–and it’s usually those most unhappy with the professor. High schools don’t use them enough – Despite these flaws, high schools have a bigger problem with student evaluations that colleges–their often not required at all. As a result, teachers often don’t get any feedback from their students. With nClass, instructors need not wait until the end of the semester for student evaluations, they can quickly and easily schedule polls or surveys throughout the semester–even every class if the instructor so chooses. By conducting these periodic reviews, instructors have a constant stream of feedback that stay within the classroom. Additionally, because nClass is conveniently on students’ cell phones and integrated within class, professors can expect a much higher response rate. Do you think student evaluations are flawed? How do you get feedback from your students?Let us know below.